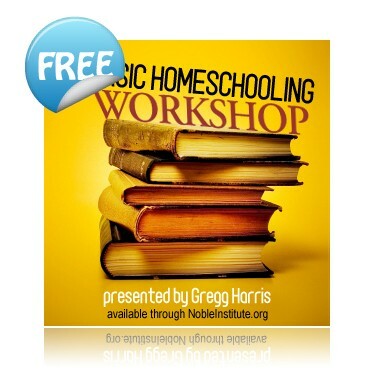 Free Audio of Greg Harris' "Basic Homeschooling Workshop"
Have you ever had concerns about whether or not homeschooling might be right for your household? Do you have questions about whether or not, Homeschooling can be successful for children academically? Are you concerned about the socialization aspect of homeschooling your child/children? Do you need encouragement if you have already made the decision to home school your child/children? Are you not satisfied with the public and private schools in your area and feel that you children need more to help them to develop the way you would for them to? Does your child need more one-on-one attention to achieve academic success? Are interested in learning more about homeschooling in general? If you answer yes, to any of the questions above then you should download the free audio of Greg Harris’ Basic Homeschooling Workshop. There are 8 audio workshops in the set and they are excellent and encouraging for parents who are interested in learning more about homeschooling their children. I have made the decision to home school my children and this audio provided me with the inspiration I needed to feel empowered as I prepare my children for success. My children mean so much to me and I know that homeschooling them is the best decision for me and my family. So far, my girls are thriving from the lessons I am teaching them. Gregg Harris’ Basic Homeschooling Workshop helped assure me that home schooled children will have the social, academic, lifestyle and spiritual advantages they need in life. The audio is well-down interesting and thought-provoking. This download probably won’t be free forever, so take advantage of this great resource now! Reader Question: How do you feel about homeschooling? Have you ever thought about it? Of course, homeschooling isn’t the best decision for every family but for some it can work out well if you desire to be successful at it and are fully committed to it.